Free to watch online now for kids is an enjoyable and educational video featuring amazing vehicles! 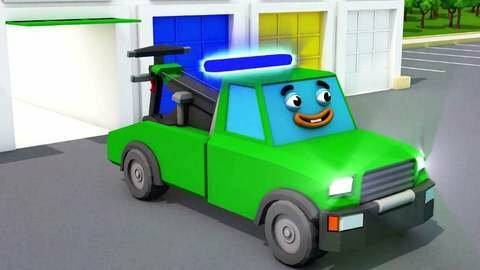 In this 3D video, sure to be absorbing for kids, cartoon cars and trucks enable learning. Kids can learn five colors, including orange, pink, black, brown, and purple, as vehicles park in garages! Watch at SeeZisKids.com as tow truck, racing car, monster truck, brown bus, and dump truck happily drive Ito garages!